Briefly put, a building survey contains a report by a qualified expert, the report provides an evaluation of the state of the whole building, or a specific part. A building survey are often requested by potential buyers as they help give an overall understanding of the building. Potential buyers often use a building survey to help them decide whether or not a property should be bought. Whether you are concerned about a certain defect in your home, or you need a list of maintenance requirements for your new property, we can help. Even if you or a neighbour are planning on changing your building in a way that may effect the border of your properties a building survey can help. Whatever concerns you may have, Ewan and his expert team with their specific and specialist knowledge of the Basingstoke area, are here to help you with anything that will aid you in finding your perfect home. Is Basingstoke too far away? Don’t worry if you are just outside of the Basingstoke area, another reliable member of the Right Surveyors team may be able to help you. 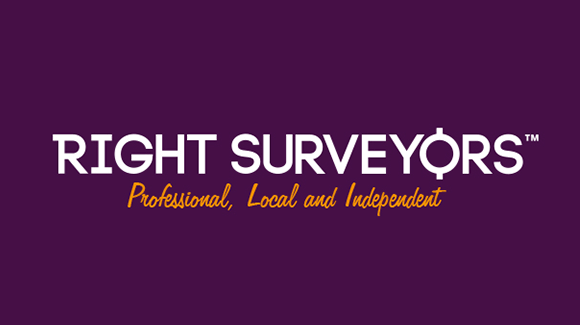 For any other details visit the Right Surveyors hub where you can easily find you local property professional. Pre-purchase surveys are one of our main areas of expertise for residential home buyers. The HomeBuyers Report is one of our most popular pre-purchase surveys, but we also offer a range of others. We show you everything that you need to know about you potential property and give expert advice on what to do about any problems that are found, and whether or not the property you are looking at is a good buy. The specifics of a survey varies from client to client, it all depends on your property and your budget. We believe that talking to a chartered surveyor and getting personal advice before choosing your survey is essential for finding a survey that best suits you.  At Right Surveyors Basingstoke, Ewan and his team are willing to listen to what you need and they adapt their services to you and your individual needs. This survey was introduced in July 2009. It focuses on any problems to the property which may decrease its value, for example, building defects. This report is an overlook of the property which helps a client decide on whether or not to go ahead with their purchase, negotiate a price, or completely pull out of the buy. Although the HomeBuyers Report isn’t as detailed as some of the other surveys, this survey is popular as it is the most cost-effective way of evaluating modern properties. It is easy to understand and very concise. However, the HomeBuyers Report may not suit houses that were built before the early 1900s as it is quite limited in the depth of detail included. Clients with houses from before the Victorian period may be more suited to the Full Building Survey or the HPSR as they give more detail, which is needed more in older buildings. Our team can offer a Single Fault Assessment survey to the residential and commercial properties in Basingstoke and across Hampshire. The Single Fault Assessment involves a surveyor investigating a particular fault or defect in the property and evaluating any issues in a formal letter which details the findings and suggesting any possible solutions. The assessment will usually contain guidance on the potential cause (or causes) of the issue as well as how serious it is and any possible solutions. The first stage of the service is always a thorough discussion and then the service varies from client to client. The service is usually requested when a property owner or prospective purchaser has a concern about an obvious defect, such as a crack or damp. This service can help a client decide whether or not to buy a property. The Single Fault Assessment can also be useful in terms of building insurance and claims on residential and commercial properties. This survey is the most personalised and thorough survey that we offer and is the broadest one available from our range of RICS building surveys. The report includes a comprehensive analysis of any specific defects, advice on what to do about them and an estimate of how much it is likely to cost to deal with any of the discovered issues. The survey and report of the property is specified to your personal requirements. Special allowances can be made in the RICS Building Survey for drainage evaluations and structural inspections. Further comments on individual issues and costings can be requested by the client at no extra cost to the total price of the survey. A Full Building Survey should only be carried out by a RICS qualified Chartered Building Surveyor, like Ewan Craig. The survey requires expert knowledge in discovering and diagnosing structural issues. Our expert building surveyors are always available and could potentially save you thousands of pounds on any future repairs that may have caught you off-guard. This survey is our ‘middle-ground’ survey and takes features from the Full Building Survey. It is shortened down to a digestible report at a lower price. It is the most popular option as it is more detailed than a HomeBuyers Survey but costs less than a Building Survey. This report still has the quality of any other report but just focuses on what you need to know to help you with making a decision on your purchase. It reports any defects that are directly affecting the value of you property; whilst also looks at any issues that may affect you from day-to-day. The House Purchase Survey, like the RICS Full Building Survey, covers areas such as ventilation, structural movement, timber joinery, damp etc. However, the report doesn’t go into quite as much detail as the Full Building Survey but is a lot more cost-effective. It is suitable for all types of properties- whether small, large, residential, commercial, old or new.